YOU ARE HERE: HOME » Planning a Safari » Botswana Safari Guide: How much does a Botswana Safari Cost? Botswana Safari Guide: How much does a Botswana Safari Cost? Botswana has a reputation for being an expensive safari destination. We talked a bit about why that is in our Top 5 reasons to go on safari in Botswana. But how much does a Botswana Safari Cost? To help you to easily compare the cost and give you a ball-park budget to work to, we have broken down rates into per person per day rates based on a minimum of 2 people (unless otherwise stated) travelling twin share. The rates are indicative only, based on 2019 rates for our most popular itineraries. They are subject to currency fluctuations and changes beyond our control i.e. increases in park fees, local taxes etc. Joining a small group safari can be the best option for those looking for a Botswana Safari on a budget. When travelling with a small group the operational costs of running the safari are split across the group which results in lower overall price. In New Zealand, we represent Sunway Safaris who run a range of small group safaris in Botswana. You can expect the following to be included in a Sunway Small Group Safari: Two qualified guides, your accommodation or camping gear on a camping safari, most meals and some non-alcoholic drinks, transport in a custom safari vehicle, activities including game drive, walks, and mokoro and/or motorboat excursions (exclusive to your group) and all the necessary park, concession, conservation and government levies and taxes. 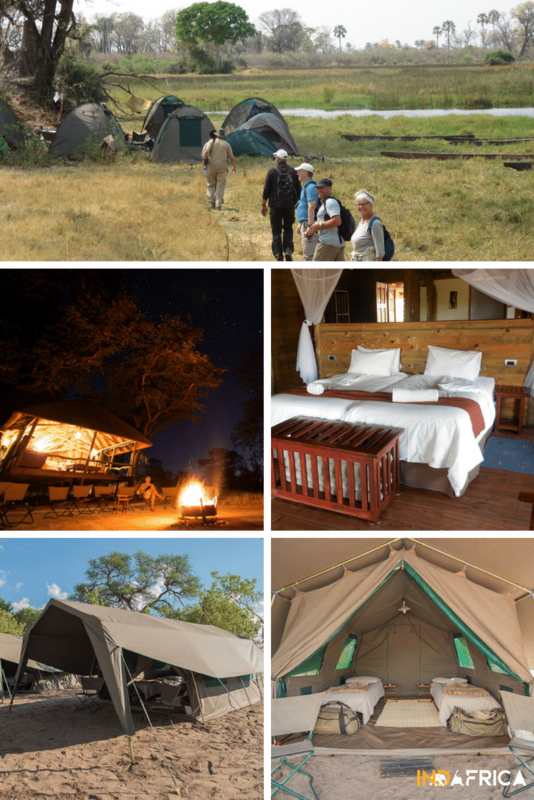 Botswana Small Group Sunway Safaris offer three different grades of comfort. Adventure Camping in dome tents where you sleep on a foam mattress with a sleeping bag. 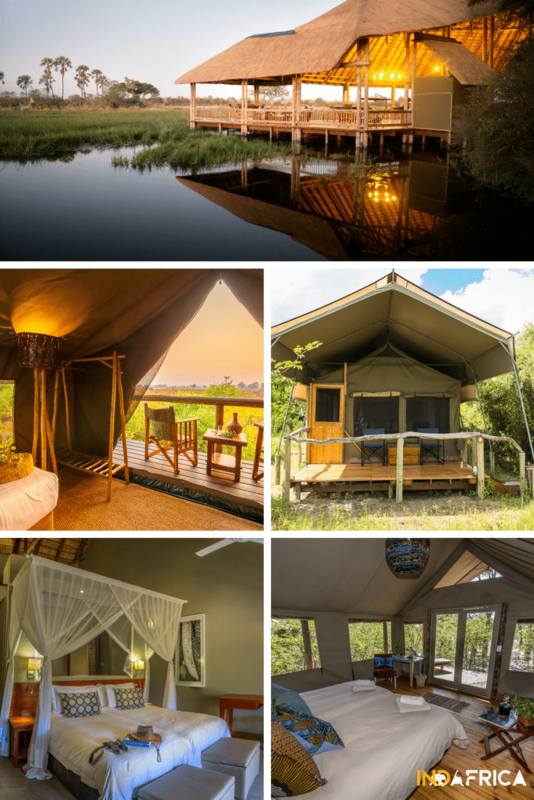 Accommodated Adventures with a mix of permanent tented camps, chalets and Classic Journeys that combine permanent tented camps, glamping, chalets and guesthouses. On tailor-made lodge safaris, you will fly by light aircraft from lodge to lodge with one or two road transfers, depending on your itinerary. Pricing is seasonal with Green (Low) Season (Dec, Jan, Mar), Shoulder Seasons (Apr & May, June, Nov) , High (Jul – Oct). Surcharges usually apply over the festive season and some lodges charge a peak season rate in August. Depending on the location of the individual lodge the “seasonal rates” can be sliced and diced in different ways. “Star” ratings don’t work well with lodges in Botswana. Lodge facilities, location (Game Reserve, National Park, Community Area or Private Concession), activities available and the quality of the guiding are all thrown into the mix. For lodge safaris, the typical inclusions are: Light aircraft flights, any road transfers required, accommodation with full board (all meals and often local alcoholic as well as non-alcoholic drinks) unless otherwise stated in your itinerary, game viewing activities offered by the lodge dependent on their location which may include game drive, walks, mokoro and/or motorboat excursions and all the necessary park, concession, conservation and government levies and taxes. Activities are normally shared with other guests staying at the lodge i.e other guests will be in the vehicle as you on game drives. Lodges charge a surcharge for private game activities and if you are travelling with children they can insist on this to ensure the comfort and safety of your family and other guests. Note on price ranges: These are a guideline only for budgeting purposes. The cost of your safari will depend on the season you are travelling, which areas you are visiting and lodge availability. Your personal itinerary may come in less or more than our range below.We divide Lodges & Camps into Comfort, Deluxe, Luxury and Ultimate Luxury. Good standard of accommodation. Lodges may be larger or in the case of those in the Chobe Riverfront, they are more like hotels. High standard of accommodation. Decor, service and food will be more polished. More activities may be included when compared to Comfort Lodges. Superb accommodation with excellent facilities and service to match. If you really want to push out the boat out there are a select number of lodges that are located in very special areas and cater for guests who are looking for an “opulent” safari experience i.e. 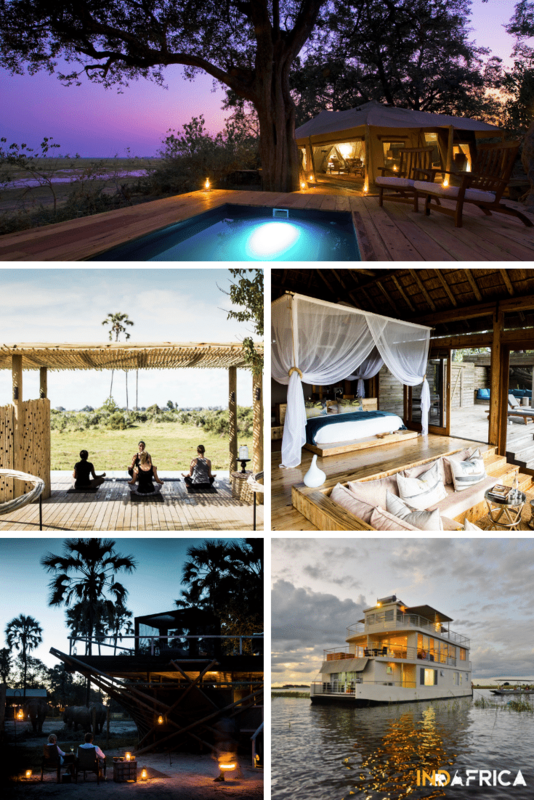 luxury safari tents with private plunge pools, massage, gyms etc. 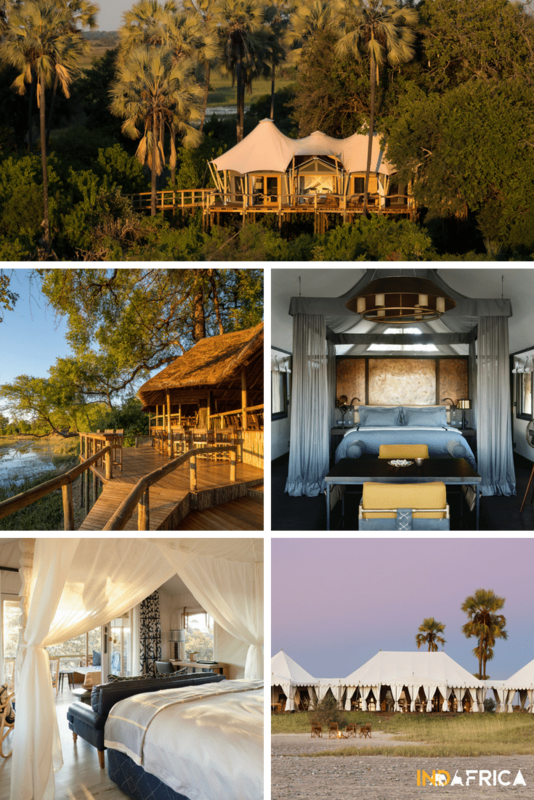 Examples of Ultimate Luxury Botswana Lodges (top to bottom, left to right) : Zarafa Camp, Mombo Camp, Vumbura Camp, Abu Camp. 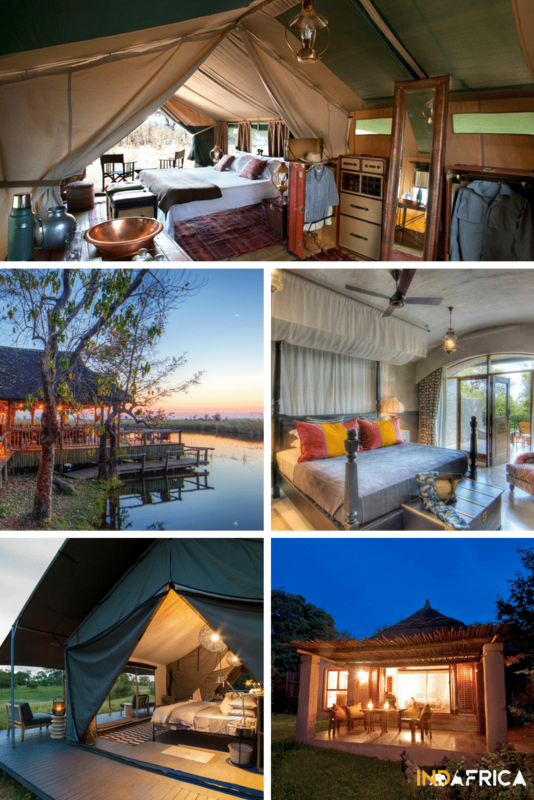 We sometimes combine these top camps with a stay on the Chobe Princess Houseboat. On a mobile safari, you have your own private vehicle and guide. 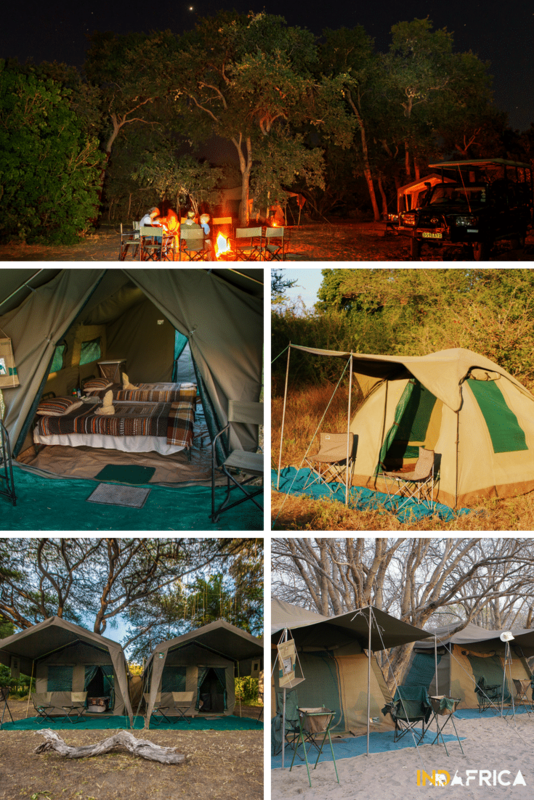 You usually “camp” in a location for 2 – 3 nights before the camp staff move the camp ahead to the next location while you out on a game drive. This is the perfect option for those that want to ‘get away from it all” and truly feel like that are on a safari adventure. Comfort: Large walk-in Meru tents. Each tent has a walk in ensuite with a short drop bush toilet and bucket shower. We also have family tent with this option. from NZ$1005 per person per day twin share (2 people travelling). Discounts apply for children aged 6 – 11 years. Private Mobile Safaris are great to get away from it all. We offer three grades of accommodation and have adjoining family tent. This is great…but how many days is a typical safari? Our small group safaris with Sunway are 9-13 days including 1-2 nights in Victoria Falls (Zimbabwe) or Livingstone (Zambia). Lodge Safaris at a minimum we recommend 7 nights, 8 days. This allows you to spend 2 nights at three different lodges and 1 night at Victoria Falls. If your budget allows it you could extend your safari by 2-3 more nights to visit an additional area or spend more time in an area that particularly interests you. For returning guests it is not unusual to spend 3 or 4 nights and one lodge and then another 3 or 4 nights at a second lodge. Alternatively, you may be spending most of your time in a neighbouring country and only have five days Botswana, in which case you would only have time for 2 nights in the Okavango Delta and one other location such as Savuti. Want to go on Safari in Botswana? >> Contact us to start planning your Botswana Safari Holiday.